Thomas John Shannon was born on 9 December 1884 at Redfern, NSW. He was the son of Robert Shannon and his wife Kate, nee McGovern. In 1928 at Sydney he married Mary Porter. He died on 9 June 1954. He was a Catholic. Shannon was a real estate agent. In his will, Shannon left bequests to Catholic orphanages and charities. Shannon Reserve in Crown Street, Surry Hills, was named in his honour. 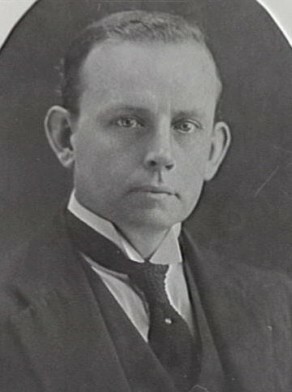 Shannon was elected member of the Legislative Assembly for Surry Hills, 1927-30 and for Phillip, 1930-53. He was a member of the Australian Labor Party. Thomas Shannon was Alderman for Cook Ward, 1 December 1921 to 31 December 1927 and for Flinders Ward, 18 June 1930 to 31 December 1948. In December 1946 he celebrated 25 years as a City Alderman. He was a member of the Works Committee, 1922-32 and 1935-48 and its Vice-Chairman in 1925. He was a member of the Health and By-Laws Committee, 1922-24 and 1931-38, the Electricity Supply Committee, 1925-27 and 1934, the Finance Committee, 1930-34, the Electricity Committee in 1930 and 1933, the Health and Recreations Committee, 1939-48 and the National Emergency Services Special Committee, 1942-45.